Given the imminent commencement of works inside the Cathedral of Santiago, which, due to its scope and magnitude, will make it impossible to continue normal activity in the main altar, naves and chapels of the basilica, from Monday 28 January, services will be moved to other churches in the city. 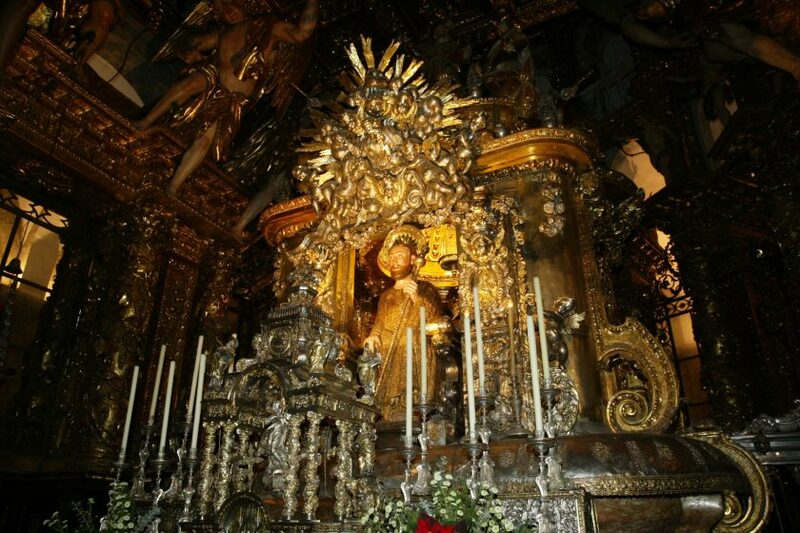 In particular, the daily pilgrim mass at 12 p.m. will be celebrated in the church of S. Francisco. The church of Santa Maria Salome will host the celebration of the Eucharist with the following hours: 7.30 a.m., 9 a.m., 10 a.m. and 7 p.m. from Monday to Sunday. On Saturdays at 6 p.m. as well and on Sundays, in addition to the above-mentioned celebrations, mass will be held at 1 p.m. and 6 p.m.. The parish church of La Corticela will hold its usual mass at 11 a.m..
Groups of pilgrims with different languages will be divided between the churches of S. Fructuoso, S. Fiz de Solovio, Santa María Salomé and the chapel at the Centro Internacional de Acogida al Peregrino (International Pilgrim Reception Centre), rúa Carretas, 33. The main solemnities and celebrations, which will be indicated in due course, will be celebrated in the church of S. Martín Pinario ( Feast of the Apostle Santiago, Chrism Mass, S. Juan de Ávila…). The Cathedral will remain open, therefore it will be accessible to worshippers, pilgrims and visitors, although the spaces in which work is being carried out will be restricted at all times. It will still be possible to perform the Embrace the Apostle rite in his niche and go down to the apostolic crypt. The Cathedral will be open from 9 a.m. to 7 p.m. The only door that will remain open will be that of Platerías, with a dual use: entrance and exit, with the Pórtico Real also serving as an exit door. Access via Azabachería is reserved for the purposes and needs of the works.